There will be few places within the Bay Area to escape the heat this weekend, with temperatures on the rise even along the coast, a National Weather Service meteorologist said today. There are some areas inland such as Livermore, parts of Napa County and in the South Bay where temperatures are expected to reach triple digits this weekend, meteorologist Suzanne Sims said. A heat advisory for inland areas will be issued Saturday at 11 a.m. and is likely to continue throughout the weekend. Sims said the hottest day in the region will likely either be Sunday or Monday. She said the prolonged heat wave will continue until mid-week, cooling off for the Fourth of July. In San Francisco, where Pride festivities are occurring this weekend, temperatures will be in the 70s, Sims said. She said that "doesn't sound too hot, but there's no air conditioning" and advised parade-goers to pack water and be ready for sun and sweat. Along the coast there will be a sea breeze, so "we'll see a lot of people on the beaches" attempting to cool down, Sims said. Another option for those sweating it out in the inland areas is to visit a cooling center, many of which are opening this weekend and next week. The Centennial Recreation Senior Center in Morgan Hill, along with the city's Community and Cultural Center, will be offering an air-conditioned space, Centennial Recreation Senior Center program assistant Alison Comerford said. The senior center will be open this weekend and during the week, while the cultural center opened today and will offer services next week as well. Comerford said the cooling centers help the elderly, small children, and the medically fragile who may be more affected by the hot weather. Sitting areas, water and air conditioning are provided for free at the centers. Throughout Contra Costa County, the county's Area Agency on Aging has opened centers to help seniors cool off in many cities including Danville, Antioch, Concord, San Ramon, Pinole and Walnut Creek. Agency officials also advise heading to a shopping mall, library, movie theater, restaurant or senior center to get a respite from the heat. The Solano County Office of Emergency Services is providing a list of places residents can visit throughout the county to avoid the high temperatures. Sprinkled throughout the county, cooling centers will be open in Vacaville, Fairfield and Dixon. PG&E is also opening centers to cool off, including several in the South Bay. A map with specific locations is available at www.pge.com/myhome/edusafety/seasonal/coolingcenters/coolerlocator.html. Public health officials from throughout the region are advising residents to stay healthy in the sweltering temperatures. Health officials advise staying hydrated, wearing light-colored clothing, wearing sunscreen and getting out of direct sunlight. For pets, the Marin Humane Society is urging owners to leave the animals at home this weekend. Animals should have plenty of water and not spend too much time outdoors. Most importantly, pet owners are reminded to never leave a pet in the car. On a warm day, conditions inside a car could prove fatal, with temperatures in a non-ventilated space reaching up to 160 degrees in mere minutes, according to humane society officials. The Sonoma County Water Agency is reminding residents about smart water use during the heat wave. People will be inclined to increase water use, but the agency is urging residents to irrigate lawns and outdoor spaces overnight and cover pools and hot tubs to avoid evaporation. Additionally, people are advised to water outdoor spaces in two short cycles rather than one long watering session. 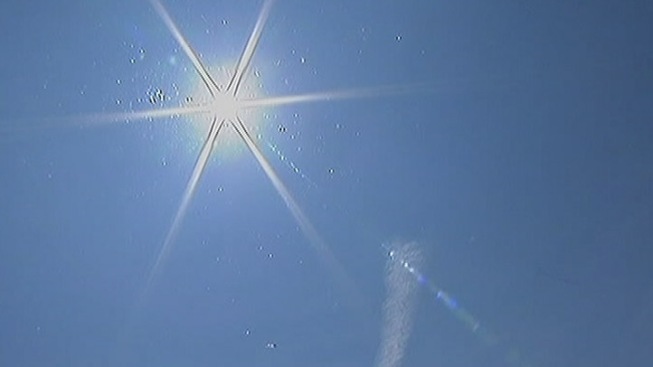 State officials are also warning residents to prepare for the excessive heat. More information about staying healthy, cool and hydrated is available at www.calema.ca.gov/PlanningandPreparedness/Pages/Heat.aspx.